I have some big news (well, for me) to announce today. Starting tomorrow, I’m thrilled that Narciso Tovar, principal of Big Noise Communications that runs on Method+Moxie (you should read it if you’re not already doing so), will be writing a monthly guest post for this blog. My (and yours) very first columnist! As is wont to happen in this age of digital media, Narciso and I have never actually met (IRL). We got to know each other on Twitter, and I’ve enjoyed reading his take on PR, especially those posts of his that have a pop culture twist. His tweets are refreshing (I mean, Who Else Do You Know Who Takes The Trouble To Tweet Like This?) he has a great sense of humor and, more than anything, his joy for life and our profession shines through. If that weren’t enough to seal the deal, we both love Corgis. So do watch this space every month (around the 15th or so) for a new spin on PR from Narciso; and for once, I’m using the word positively and deliberately. 1. He can do a great Harry Carray impersonation. 2. Narciso once crashed a wedding at the World Trade Center in NYC. 3. He plays a mean short stop. 4. Narciso had his head shaved once for kid’s cancer. 5. He dreams one day of being a Blue Man. 6. Narciso really is the Screen Actors Guild’s best kept secret. 7. He is crazy about his tri-color Pembroke Welsh Corgi, Eddie. Narciso, I’m thrilled you’re on board. I know Eddie will keep you in line. 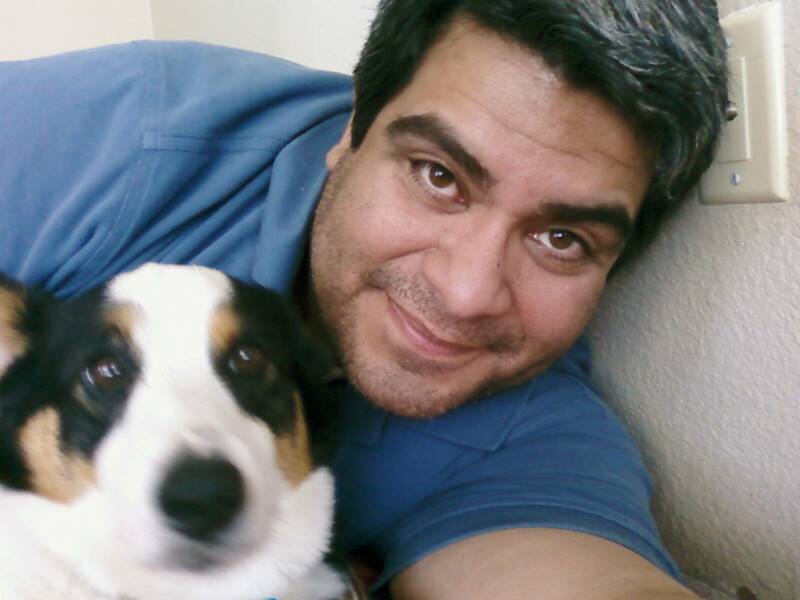 Image of Narciso & Eddie © Narciso Tovar, used with permission.